If the IACC’s Strategic Plans were IEPs, would they be in non-compliance? As the New Year approaches and many of us are spending time over the holidays with family and friends, we often think about the achievements our children have made over the past year and in sharing those successes with others. It’s also a time for reflection on the daily challenges our children and our families may be facing. When thinking about our lives and the future of our children, there is not an occasion when we don’t think about what more can we do and how to do so within our ability to affect system change. We all would like our voices to be heard regarding our concerns about the issues that affect our loved ones who live with autism daily. 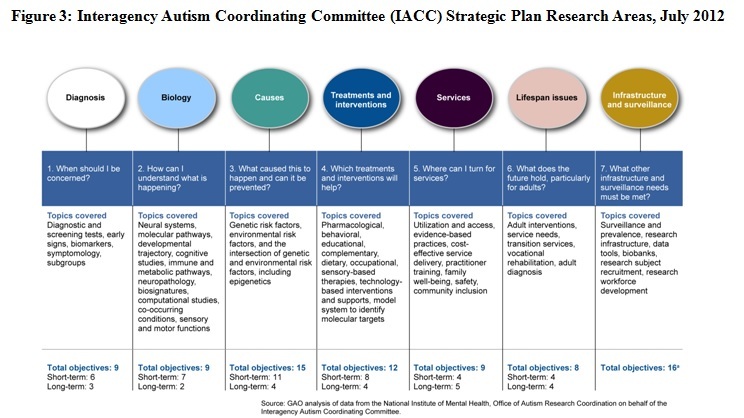 TACA has written about The Interagency Autism Coordinating Committee (IACC) four times. You can read these posts here (1.) This blog is a desire to engage TACA members and friends to the foundation to act before the next scheduled meeting. There is a chance to do so; we would urge you to consider this opportunity: The IACC will be meeting on January 14th, 2014 for a Full Committee Meeting to discuss and finalize the 2013 IACC Strategic Plan Update along with other committee business. As in the past, they have posted their meeting notice inviting individuals to register for intent to provide oral comments at the meeting itself, and to also submit written comments for the record, which are provided to the IACC committee members prior to the meeting for consideration. This is a very important time regarding matters for individuals living with autism. We feel we are now at a tipping point where more needs to be done as the needs of the autism community are not being met. Across the country, we are seeing many changes due to financial limitations within educational systems. We have seen cutbacks to funding of state-run programs that provide support as budgets are streamlined due to economic hardships, as well as changes in federal programs that provide services and supports to individuals living with disabilities. It is a time of change and a time when many of us feel uncertainty for the future of our children. It is so very important for us to voice our concerns about the lack of movement in meeting the needs of individuals with autism from the IACC. Their past strategic plans have not focused on ensuring that the research being done would transition into applications that will benefit individuals living with autism and their families. We ask that you attempt to view the entire meeting for many reasons and to also learn how the committee addressed seven questions that were provided and if their objectives are currently being met. We’d also like ask that you think of this as if it were an IEP meeting where a team is addressing a previous IEP to consider if there was compliance of the IEP over the last year. Many individuals who attended the meeting or watched the live broadcast have voiced frustration over what is currently transpiring and what appears to be a lack of awareness on what the IACC’s actual task is. This meeting confirms what many have been saying for years. Many of the members also mention that there appears to be a lack of coordination on what research is being done, its data, and how that work is not transitioning to increase the quality of life for individuals living with autism. You will also notice that the IACC only met three times in 2013 and not all members were physically present at those meetings. Many members were not present at two of the meetings or 66% of those which were conducted. The IACC however does not keep a public record of member attendance which should be of concern, especially when this is a handpicked committee that had several nominations for membership of individuals who would gladly serve on the committee and ensure their attendance. For those interested in learning who attended the three meetings, you can watch each videocast; within the first fifteen minutes attendance is acknowledged. 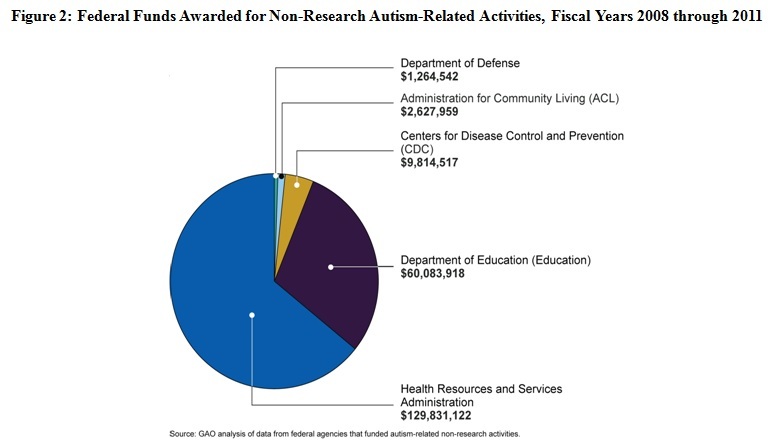 Additionally, for consideration is the newly released report from the US Government Accountability Office (GAO) on coordination of autism specific research funding which is part of what the IACC’s task is. The IACC is also supposed to coordinate data specific to the objectives within both long and short term goals of their Strategic Plan, much as one would equate to objectives being met within an IEP for one of our children. 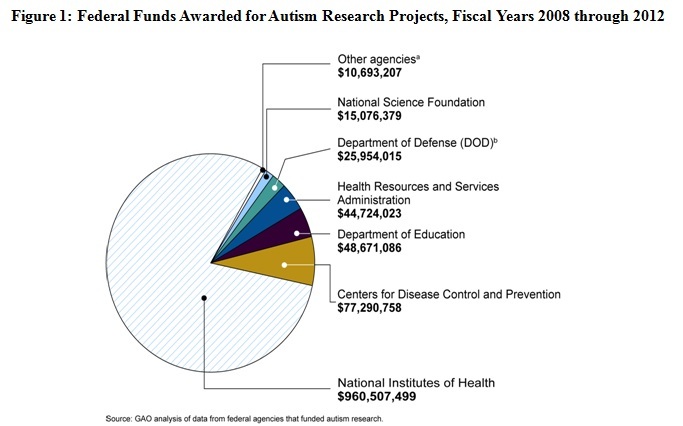 This report, “Federal Autism Activities: Better Data and More Coordination Needed to Help Avoid the Potential for Unnecessary Duplication”, issued November 20th, 2013 expresses concern over replication in funding being provided to autism research and the lack of the IACC to provide appropriate oversight due to inadequate data and reporting to do so. This report parallels what some may view as that of a complaint on non-compliance of an IEP and how it was not implemented according to the goals and objectives of the student. Some may say this is not a fair comparison, however when you look at the report from the GAO, they obviously want to ensure that there is accountability and transparency within funds spent and they cannot do so due to the lack of coordination by the IACC. Below are two figures representative of spending on projects from 2008-2012 which indicates almost 1.4 billion dollars have been spent. Yes…1.4 billion for an actual total of $1,183,795,000 dollars spent in that five year period by the listed federal agencies for research projects and an additional $203,622,058 spent on non-research activities over four years as indicated in Figure 2. In Figure 3, you will see the seven questions that the IACC is currently using in their Strategic Plan. As you watch the November 15th meeting you will see these discussed, but not much taken from that summary report prepared on past research that has already been done. You will hear some discussion on some areas of needed research by some committee members, however when you look at the research that has already been done, via the summary report, you will see those have been addressed in past funded research studies. We are discussing this now because we are at a tipping point for our community. We ask that you think about the past five years’ spending of close to 1.4 billion dollars. Do you feel any of this research has been of benefit to your child? Have you seen any changes linked to these federally funded research initiatives that have assisted in providing a better quality of life for your child, support for your family, or to ensure their futures as adults? We are not saying all of this research has been for nothing; it’s garnered some results that most likely can assist, however how is it being utilized to do so? Also the GAO report indicates that 84% of the research done may have been replicated research done via differing agencies. What could have been done with those funds otherwise if that replication did not benefit the research outcomes? We urge you to please consider this information and take the time to become involved. Even if you write to the IACC and voice your concern solely on the GAO report and connect that to your child’s unmet current needs, we feel it will benefit. If you can take the time to watch the July 9th IACC meeting including presentations from Dr. Timothy Buie and Dr. Richard Frye on medical conditions related to autism please do so. If you can provide written comment on how our children deserve equal access to appropriate medical care for treatment of medical disorders like those discussed, please do and share your personal stories about your child’s treatments and interventions and how those have assisted. Currently, the majority of the IACC is not supportive of this type of intervention and it is imperative they hear this should be a priority within not only funded research, but applied research studies to allow more access to this type of treatment at Autism Treatment Network (ATN) center locations across the country. So now that we’ve given you some of the information to hopefully feel motivated, we ask that you consider submitting written comment by the deadline of Wednesday, January 8th by 5pm EST. Your comments also must state (within the subject line of your e-mail) that they are for the IACC meeting for January 14th and you are providing your written comment for the public record for that day’s meeting. Additionally, if you want to attend the meeting to provide oral comment during the 30 minute public comment session, you must request to do so in writing by January 7th at 5pm EST and have your public comment submitted by January 8th at 5pm EST. You are also required to pre-register for the meeting, even if you are confirmed to provide an oral comment. Carolyn has been active within a variety of advocacy efforts for last two decades. Having grown up with a sibling with a disability and a father who was active politically, from a young age she’s also been addressing social justice and disability issues via several different avenues. As the proud parent of two sons, one who has autism, she is a Partners in Policymaking graduate, has served on several local, state, and federal level boards of disability representative organizations, while also supporting other families and collaborating with professionals. She also has served on several government relations committees, assisted in drafting disability related legislation on the federal and state level while also working on several grant projects with the Department of Justice and the Office For Victims of Crime. She currently is the Executive Director of L.E.A.N. On Us, an organization she co-founded in 2002, and also volunteers as a parent mentor. Carolyn has provided both written and oral comments to the IACC, has attended several IACC meetings since the inception of the committee, and feels it is essential we as an entire community are represented by those chosen to serve on the IACC. Reblogged this on Al Kutil — Daily Life with Asperger's.